The Economic Offences Wing (EOW) of the Delhi Police has registered a case against the former promoters of Fortis group Malvinder Mohan Singh and his younger brother Shivinder Mohan Singh, former Religare Enterprises Chairman and Managing Director (CMD) Sunil Godhwani, and N K Ghosal, an associate of the younger brother, on a complaint made by Religare Finvest Limited. The First Information Report (FIR) has been filed following a criminal complaint made by Religare Finvest on December 20 in which it had alleged that the Singh brothers, Godhwani, and others had cheated the company of nearly Rs 700 crore. Religare Finvest is a subsidiary of Religare Enterprises Limited (REL), which was controlled by the Singh brothers until February 2018. The complaint by Religare Finvest was filed after the company conducted an independent forensic audit was conducted by the new board after the exit of the two brothers in February. The company said it had also conducted internal enquiries to ascertain as to why it was in a poor financial condition after the resignation of Singh brothers from the board. “Internal inquiries showed that poor financial health of Religare Finvest was to a large extent on account of wilful default on significant unsecured loans, defined for internal purposes as corporate loan book by borrower entities either related, controlled or associated with the promoters,” Religare Finvest said in the FIR. The loans, the company said, were given at a non-arms-length basis, which is in violation of corporate governance norms, as well as, other regulations for Non-Banking Financial Companies prescribed by the Reserve Bank of India. In the complaint, Religare Finvest has also said that the Singh brothers and others had cheated the company through misappropriation, siphoning and diversion of funds through a labyrinth of financial transactions. Calling it a “well thought out and organised criminal conspiracy by which a financial scam of huge magnitude has been effected” by the Malvinder, Shivinder and others, Religare Finvest said that they had also siphoned off funds from its parent REL. REL had also filed a separate complaint against Singh brothers and Godhwani with the Ministry of Corporate Affairs under the Companies Act. REL had made the complaint with the EOW of Delhi Police following an observation made by the Delhi High Court. During a hearing on Daiichi Sankyo's plea for payment of Rs 3500 crore arbitration award due to them against the Singh brothers, Justice Rajiv Shakdher had observed that if REL was serious about the allegations of defrauding against the former promoters of the company, it should file a police complaint about the same. Religare moved court, alleging that the Singh brothers, in their capacity as promoters of Religare Enterprises, had siphoned off money from the company by issuing non-convertible redeemable preference share (NCRPS) for themselves and later redeeming them. About Rs 425 crore had been siphoned off by the two brothers, Religare had said in its petition. The relationship between the two brothers, which had been deteriorating for a while, took a plunge for the worst after allegations of fund diversion from the Fortis group came to light. The two brothers came to blows in December and accused each the other of physical assault. 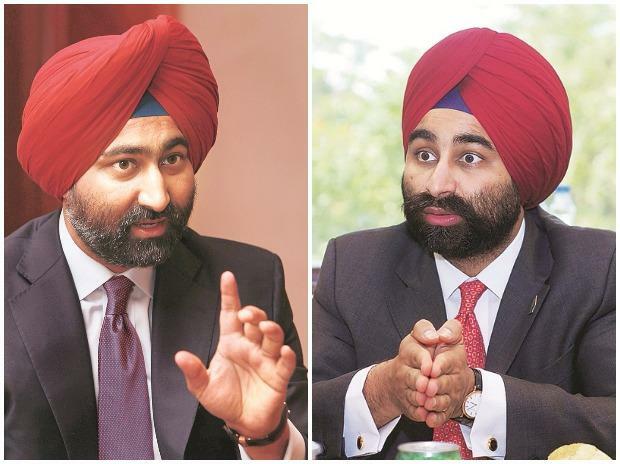 Earlier, Shivinder had written a scathing letter, blaming his elder brother for the financial and legal troubles of Fortis group. Sources had, at the time, said that while Shivinder had offered to pay his share of the Rs 3500 crore award, Malvinder was not ready for the same and wanted to fight it out legally.